But can he do it on a 30 degree day in Brighton? Yeah, I must admit that the format wasn’t the most ideal. With a turnout of 7 players it was set up as a round robin event with 10 minute halves and a grand final after where top 2 go through after 7 rounds. There was only 5 minute breaks in between games on a day where it is over 30 degrees and have 3 boards squeezed into a small room. Could they do it on a hot, dry day in Brighton? Just barely. Going back to the small room scenario, I was made unaware that the larger hall would be occupied for a birthday function and as soon as I arrived I saw a pre-school activity session occupying the smaller room. It was another panic mode for myself as we had no place to set up the event with only half an hour until the first games were about to start. Fearing the worst, I was half expecting an angry mob of 4 subbuteo players chasing me down the street with machetes and clubs as soon as they have found out there is no venue to play subbuteo after a long drive to reach Brighton. But not to worry, the small room had freed up 10 minutes before the start of the event and it was a rushed preparation to set up tables and had them vacuumed before everyone had arrived. The man of mystery; Tom Nowacki had returned to the scene after 1 year in hiding and a new player, Juan Menendez, had joined the party. Juan had briefly played subbuteo back in Brisbane while growing up with his brothers. 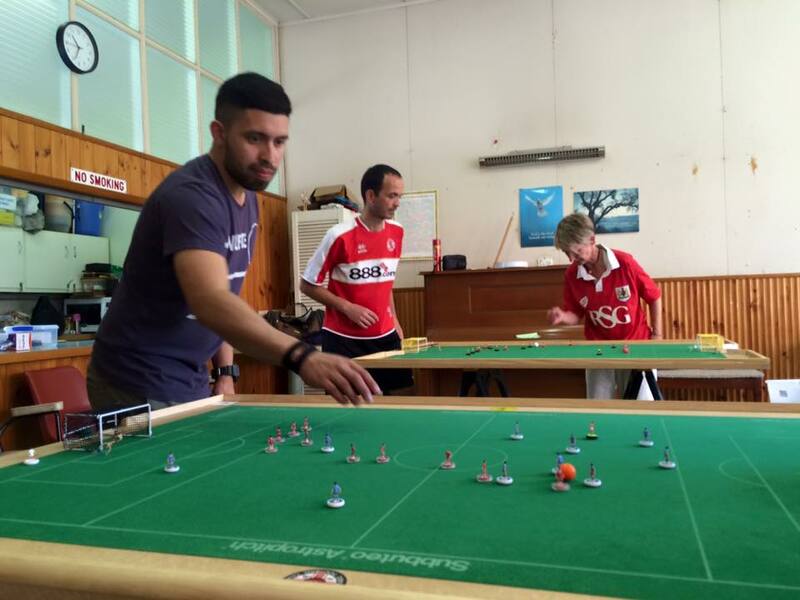 He recently moved to Melbourne and was very keen to experience an organised subbuteo event. He had surprised everyone with his solid flicking for someone to take part in their first ever tournament and even notched up a 1-0 win over tom and a 0-0 draw with Beth Eveleigh. 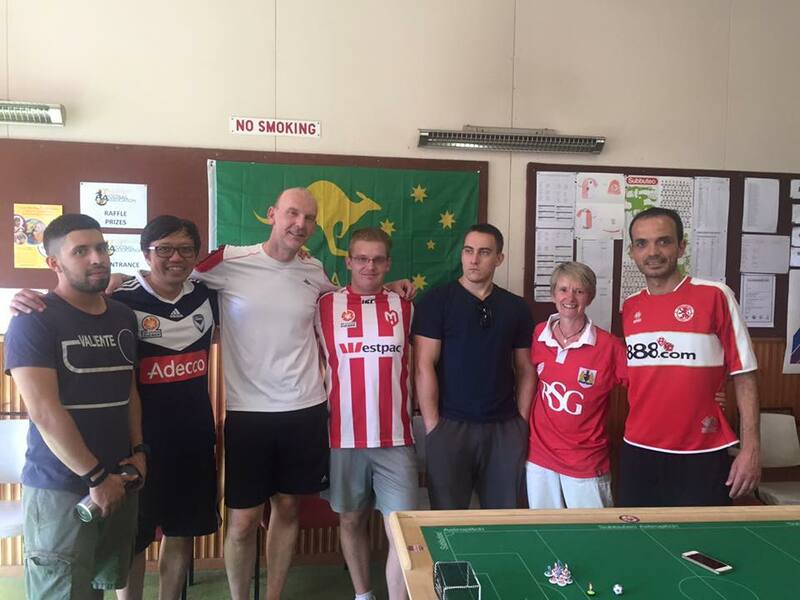 On paper, Christos Garagounis had made significant improvement in his performance achieving draws against the more experienced players Benny Ng and Luke Radziminski with scores of 1-1 and 0-0. He achieved 4th place in result of this. In other games Luke and Benny had won their first points against the superior Carl Young in 0-0 draws. Carl remained undefeated however and sealed his spot into the grand final, the second entrant was has contested between Luke and Benny. Each player achieved the same results in the 6 rounds however it was decided from the first round of games where Luke had defeated Benny 1-0. The grand final stood goalless at halftime, where Carl had dominated possession but was kept at bay from Luke’s goalkeeping. However in the second half Carl’s flicking had been flawless and disallowed Luke to advance forward with some precise blocking. Eventually it was too much for Luke to handle and was cleaned up 2-0 in the end. 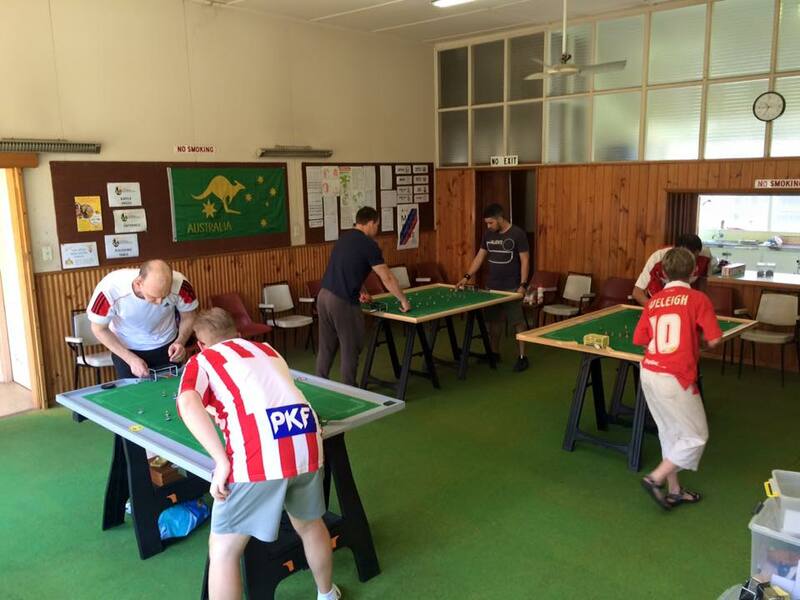 This entry was posted in News, Tournament reports on 15/02/2016 by subbuteomelbourne.